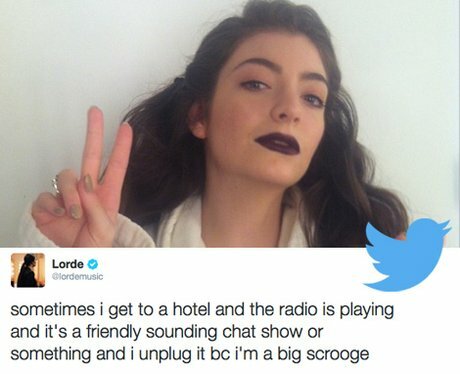 'Royals' star Lorde's refreshingly honest personality have quickly endeared her to fans and nowhere is this more on show than her personal Twitter feed. It's a MUST follow! 'Like' to vote for this rising superstar.